Kleist's philosophy is the ironic rebuff of all theories of human perfection, whether this perfection is projected in a golden age at the beginning (Hegel), or in the future (as the philosophers of the enlightenment and still Marx would have seen it). His essays show man, like the literary works, torn apart by conflicting forces and held together on the surface only by illusions, like that of real love (if this was not the worst of all illusions). Jeronimo, for example, in Kleist's The Earthquake in Chile, is presented as emotionally and socially repressed and incapable of self-control, but still clinging to religious ideas and hopes. At the end of a process marked by chance, luck and coincidence, and driven by greed, hatred and the lust for power, embodied in a repressive social order, the human being that at the beginning had been standing between execution and suicide, is murdered by a mob of brutalized maniacs who mistake their hatred for religious feelings. Helbling, Robert. 1975. 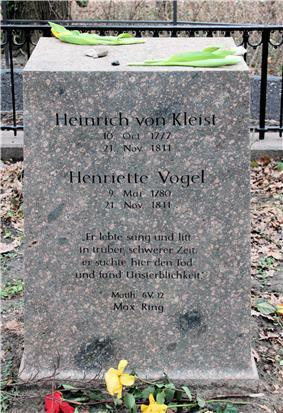 The Major Works of Heinrich von Kleist. New York: New Directions. ISBN 0-8112-0563-0. Lamport, Francis John. 1990. German Classical Drama: Theatre, Humanity and Nation, 1750–1870. Cambridge: Cambridge University Press. ISBN 0-521-36270-9. Meldrum Brown, Hilda. 1998. 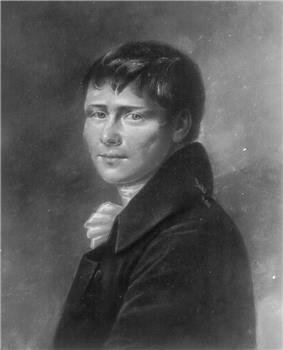 Heinrich Von Kleist The Ambiguity of Art and the Necessity of Form. Oxford: Clarendon Press. ISBN 0-19-815895-5. 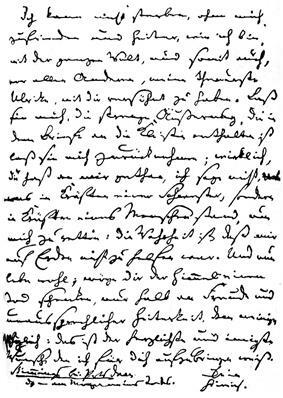 ^ a b c Heinrich von Kleist, The Marquise of O– and other stories. Ed. and translated by David Luke and Nigel Reeves. (New York: Penguin Books, 1978), 7. ^ Sng, Zachary. The Rhetoric of Error from Locke to Kleist. Stanford. Stanford University Press. 2010. Chapter 5. ^ a b c Heinrich von Kleist, On the Gradual Production of Thoughts Whilst Speaking. Ed. and Trans. by David Constantine. (Indianapolis: Hackett Publishing, 2004), 405. ^ a b Heinrich von Kleist, On the Gradual Production of Thoughts Whilst Speaking. Ed. and Trans. by David Constantine. (Indianapolis: Hackett Publishing, 2004), 410.